GST is applicable on supply of goods/services for a consideration. However, in certain cases even if the business disposes off the assets for free, they are required to discharge GST on such disposed asset. In this article, we have tried to examine different types of supplies which are offered free to the customers / potential customers and analysed the GST Implications on the same including the treatment of input tax credit paid on procurement of such products which are being offered for free. The transactions being analysed have been bifurcated into (1) Samples and (2) Buy One Get Two type schemes. What are Free Samples and Free Supplies? Why is free “issue” an “issue” in GST? Is GST payable on “free” samples / supplies? How to disclose these supplies in the returns? 1. What are Free Samples and Free Supplies? Samples refers to product given to consumers to try before purchasing. This method is commonly used as direct marketing strategy by FMCG Companies to market new products. Eg. Newly introduced cookies handed over to moviegoers. These are made available to the customers free of charge and without any obligation on the customer to buy the products. l products to consumers like 1 Soap free on purchase of 3 Soaps, 1 Garment free on purchase of 3 Garments etc. In this case, the additional product is offered free only when the customer purchases the base product (in above case, 3 Soaps or 3 Garments). 3. Why is free “issue” an “issue” in GST? Generally, GST is applicable when transaction involves supply of goods / services for a consideration. Consideration here refers to the monetary sum a buyer is required to pay to the seller. However, Schedule I of the CGST Act, 2017 provides for payment of GST on certain transactions even when such a transaction is executed without ‘consideration’ (ie buyer does not pay anything to the seller). One of such transaction is “Transfer / Disposal of Asset on which credit has been availed”. Hence, if any transaction gets covered under this entry, GST will be payable even when the supply is made without consideration. 4. Is GST payable on “free” samples / supplies? In both the categories, the supplier is required to reverse the credit due to specific restriction of credit availment on products issued as free samples. However, wrt Type 2, since these are not marked as samples but are business assets on which credit was availed at the time of purchase, there is a possibility of these Type 2 samples being treated as Supply under Schedule I and consequently liable to GST (instead of credit reversal). GST will have to be paid based on the sale value of the “same product”. Type A – Supplies where buyer gets unit(s) of a product free of cost on purchase of certain units of same product. Eg Buy 1 Get 2, 1+1 Scheme, Buy 4 for the price of 3. Type B – Certain Extra Quantity is mentioned on the package as being offered for free. Both the transactions are merely a marketing strategy and the seller is effectively offering single price for Sale of 4 units of a product at price of 3 or offering more quantity in the same unit container but for the price of a little lesser quantity. By levying tax on such single price, GST is being charged even on the product / quantity which is said to be offered for free. It would be relevant to note that in the above example of 3+1, no buyer can ask for 1 free product without buying the other three products. Hence, 3+1 or for that matter 1+1 scheme or extra quantity offered free supplies will attract tax only on such single price charged to the buyer. However, notices have been issued to FMCG Companies and Pharmaceutical Companies asking them to pay tax on free supplies covered under Type A by treating these transactions as covered under Schedule I. According to the news doing rounds, Law Commission has issued a report to the GST Council that tax should not be levied on such free supplies and there should be no requirement of input tax credit reversals as well. It is observed that many companies have stopped these quantity discounts given the confusion prevailing on the tax treatment and have instead converted these schemes to value discounts at the time of raising invoices but the marketing team of such companies don’t seem to be happy with this idea. 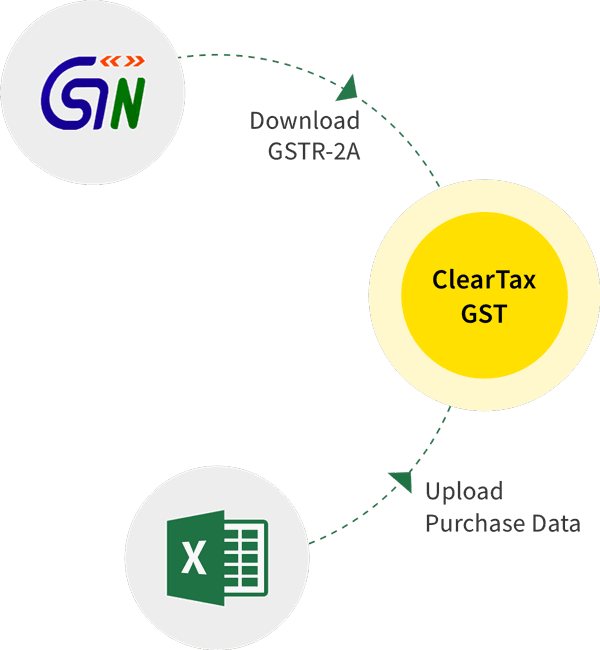 Alternatively, in case of Type 1 transaction, the free unit as well as the chargeable units can be offered as a single product (by tying / packaging them together) with a single MRP and then discharging GST on such single MRP. 6. How to disclose these supplies in the returns? Type 1 – As the Free Samples are not supplies and hence no requirement of disclosing the same as outward supplies in the returns. The credit relating to the same can be disclosed in Table 4 of the Form GSTR 3B as Ineligible ITC under Section 17(5) or Credit Reversal under “Others” if credit was already availed. Type 2 – Free Samples will be treated as outward supplies and will have to disclosed as taxable outward supply in Table 4 of Form GSTR 3B as B2C sale. Free Supplies do not attract credit reversal nor are they additional supplies and hence do not require any specific disclosure in the returns. In case you decide to pay output tax on the same then raise a B2C invoice and accordingly disclose the same in Form GSTR 3B and Form GSTR 1.